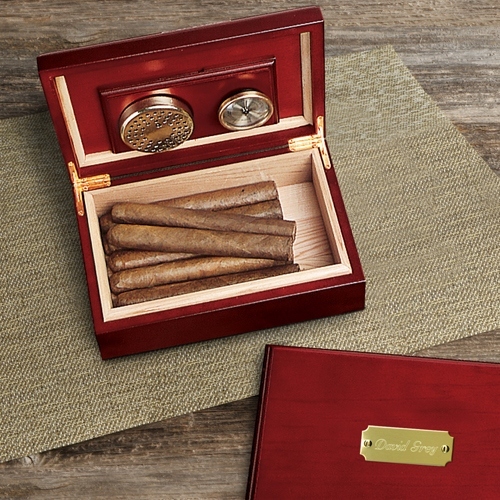 * When properly monitored in this heirloom quality cherry wood humidor, cigars will retain their freshness indefinitely. * Cigars are natural products, and therefore require care and protection just like any other perishable item. * Holds approx one dozen 'standard' sized cigars. * Varies with cigar length, width, etc.